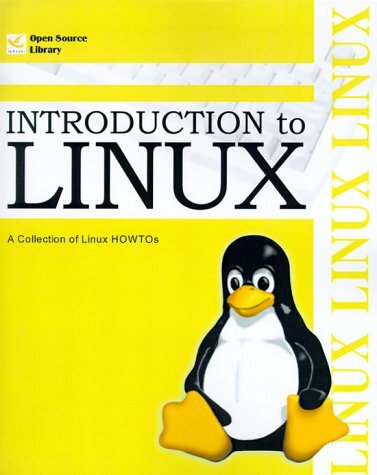 Amazon.com description: Product Description: Introduction to Linux provides general introductory information on finding, using, and installing the Linux operating system. Inside you'll find numerous "howto" articles written by Linux experts from around the world. These articles, compiled from the Linux Documentation Project, provides basic information about the Linux operating system, including an explanation of Linux, a list of features, and some important requirements for running Linux. The book also provides a list of valuable sources of information. For more information visit the Linux Documentation Project. This volume is designed to be a handy desktop companion, saving you the time and expense of printing the documentation yourself. It is also useful when viewing the online version of these howto articles is inconvenient. About: Introduction to Linux provides general introductory information on finding, using, and installing the Linux operating system.